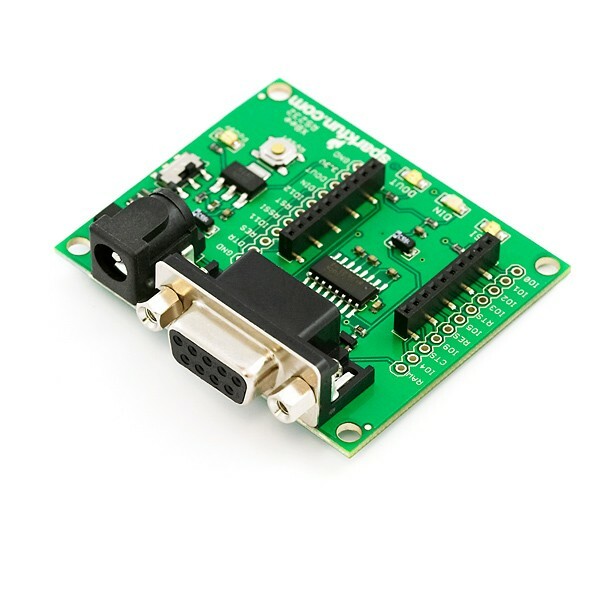 This is a simple to use, RS232 to serial base unit for the XBee line. This unit works with all XBee modules including the Series 1 and Series 2.5, standard and Pro version. Plug the unit into the XBee Explorer, attach a RS232 cable, and you will have direct access to the serial and programming pins on the XBee unit. The board also supports DTR communication so you can reprogram and configure the XBee unit. XBee modules, RS232 cable, and power supplies sold below.